the visible effect we desire for ourselves and for our world. Each of us is in the process of becoming that which we already are. use them to feel our way into fulfillment. A cosmic comedian once said: “I have good news and bad news. The bad news is we’ve lost the key to the secrets of the universe. The good news is the door isn’t locked!” During the month of March, we will walk through the unlocked door by looking at Ten Secrets for Success and Inner Peace inspired by Wayne Dyer’s book by the same name. Long before the movie The Secret, Dyer shared these insights. So, if you’ve been looking for the key to the secret of the universe, you can stop looking and walk with us through the open doors as each week we explore two of the secrets. March 3 – Are You Open at the Top to Fully Live? Having a mind that is open and an internal ear that is in tune with our internal music are our first two secrets to living fully in success and inner peace. March 10 – What Are You Giving Away? As we explore the third and fourth of Dyers’ “secrets” of success and inner peace, we will connect with and send out to the world the spiritual energy of love and peace that rests at our core. March 17 – Let Go and Lift Up! To truly live in success and inner peace, we must be willing to give up our personal history and approach life with a higher perspective. Secrets five and six give us insights into these Truths. By taking full ownership of our experiences through forgiveness and beyond and by treating ourselves as if we already are what we’d like to be, we engage the magic of secrets seven and eight. As we bring this series to a close, we explore secrets nine and ten — Our greatest treasure is found right inside and our greatest wisdom is found when we embrace only thoughts that empower and strengthen us. February 2019 Theme – Are You Ready? We come together this month to answer the question, “Are you ready?” Are you ready to receive God’s highest blessings? Are you ready to experience deep and profound love? Are you ready to live from a higher level of being-ness? Are you ready to be a trans-formative light in the world? If you are ready for all of this (and more! ), be sure to be with us each and every week. February 3 -Ready to Get in the Game? On this Super Bowl Sunday, we’ll explore what it takes to get in the game of life. Just like the players in today’s football game, to get in the game of life, you’ve got to suit up, know the rules and the plays, and be willing to practice, practice, practice. February 10 – Are You Ready to Fan the Flame? In this interactive service, you will learn a simple, yet profound, process for igniting the flame of God within you. February 17 – Are You Ready to be the World’s Greatest Lover? Today, the day after Valentine’s Day, we will see how each of us can use love to heal, uplift and empower ourselves and others. February 24 – Ready to Sign on the Dotted Line? We sign on the dotted line when we commit to buying a house, to purchasing a car, to getting married, and to experiencing a host of other things we desire. This morning, we will make such a commitment to our spiritual unfoldment. January 2019 Theme – How Shall We Live This Year? As the calendar changes once again, we have an opportunity to begin afresh. What shall this year bring for you? Is your desire for greater joy, harmony, peace, and plenty and would you like your desires to express themselves with ease and grace? If so, join us this month as we use foundational principles of Science of Mind to set the tone for the year, both in your personal life and in the life of our spiritual community. How shall you design your life this year? What do you intend to create and in what kind of energy and atmosphere? On these ending days of 1987, in this interactive service, you will have an opportunity to articulate an intention and a theme for 2019 for your own life and for The Santa Anita Church. Are you answering life’s call or are you just letting the phone ring? Today choose to answer the call by “L” – Letting go of the past; “I” – Imagining a greater life; “F” – Freeing yourself to choose; and “E” – Expressing your Divinity. January 20 – It’s Your Life — Live It! Dr. Robert Schuller authored a book entitled, If It’s To Be, It’s Up to Me. In it, he wrote: “The 21st century belongs first and foremost to a new mental breed of humans driven by a strong, sensitive, spiritual individualism.” The truth is, there is only one person on earth who can dream your dreams. That person is YOU! And, there is only one person alive who can kill that dream. That person is you as well! So, what shall it be? January 30 marks the beginning of the Season for Non-Violence – 64 days between the anniversaries of the death of Mahatma Gandhi and Martin Luther King. Gandhi once said, “We must be the change we wish to see in the world.” As we conclude this series, we will look at being the change in 2019 by living a life of peace, which can lead to a world at peace. During this holiday time of year, we sometimes feel we have too many things to do and too little time to do them, winding up harried and hurried. Or, for some, this time of year intensifies past or current hurts and sorrows, and we spend the month in sadness. This month at The Santa Anita Church, we will gather each week to release all of that as we learn how to experience the L-I-G-H-T of the holidays — Living Inside God’s Highest Truth. In the Science of Mind Textbook, Ernest Holmes wrote, “In studying the life and teaching of Jesus, the most unique character of history, we discover a few simple ideas underlying his philosophy, the embodiment of which enabled him to become the Christ.” Today, we will look at two of those simple, yet transforming ideas, the embodiment of which will illuminate our Christ Light. As expressions of God, the Great Giver of Life, we each express our Highest Truth and shine our lights most brilliantly when we choose to be givers to life — not in obligatory ways, but because it is our Divine Nature to give. Today we look at gifts we can share that don’t cost a cent and what it is like to adopt the Buddhist attitude of being a “kingly” giver. We are all familiar with the elements of the Christmas story – Jesus was born in a stable because there was no room in the inn surrounded by shepherd and wise men who had followed a star to be with him. As colorful as this story may be, this is the outside story of Christmas. Today, we will look at the INSIDE story of Christmas and how it can lead to our living in the Light. 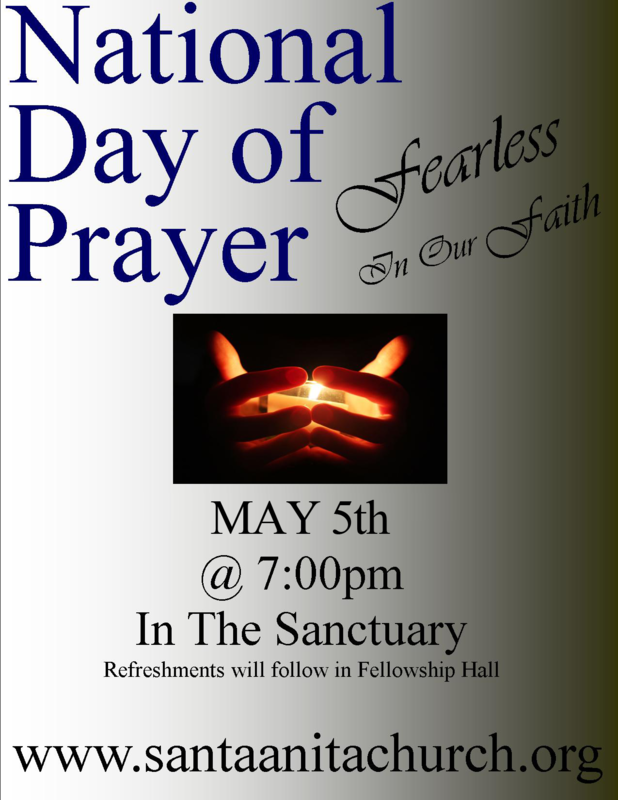 With beautiful music, prayer and candle lighting we invite you to celebrate this wonderful evening of joy! A special Singer will help us remember our earliest times of Christmas love and peace. We bring our month and the year 2018 to a close by focusing on our Light. Not only will we focus on our Light, but we will build our body of light through a powerful meditative experience you won’t want to miss. November 2018 Theme – Mind Your Ps and Qs! Our parents may have said this to us when we misbehaved as children, but during the month of November, at The Santa Anita Church, the phrase “minding our Ps and Qs” will take on a different meaning. When we are mindful to Practice Prayer, to Pursue Play, to Quicken our Divine Potential, to Power our Positive Thinking and to Possess a Grateful Presence, we have the formula for creating a life well lived. A life built on prayer is a life built on a strong foundation. Today, we will explore making the practice of prayer, all forms of prayer, a cornerstone of life. A life well lived must be a life lived in balance, and pursuing play is an important part of that balance. On this day, we will look at play as a spiritual practice. Today we take a look at practices and attitudes that quicken our Divine Potential, enabling us to be all that we came to this life to be. We celebrate the Thanksgiving holiday by realizing we have so much for which to be grateful – even more than you might think! We are aware of the power of positive thinking, but do we really power up our thinking as much as we could? Today, we will give a jumpstart to the kind of thinking that will move us forward in achieving our dreams and goals. November Affirmation: Today, I open my eyes to see God’s Good, I open my heart to feel God’s Joy and I open my mind to know who I really am! Over 2,000 years ago, Jesus said, “I have come so that you might have life, and have it more abundantly.” During the month of October, we will explore what it means to live The Master’s promise. With an attitude of expectancy, an open heart and a willingness to look beyond the known and into the possibilities, we can create magic in our lives. Are you driven by fear or love? Fear constricts, love opens; fear limits, love expands; fear inhibits, love empowers. Today, we will look at saying yes to love as the primary motivator in our lives. Taking a lesson from young surfer Bethany Hamilton as chronicled in her book Soul Surfer, we will learn how to catch our wave to the abundant life. Using the “Ghostbusters” movie as the metaphor, we conclude our month of focus on the Master’s Promise by focusing on the power of Spiritual Mind Treatment/affirmative prayer and eliminating the ghosts (illusions) of fear, doubt, separation, etc. Sitting around the living room engaged in deep conversation with friends and loved ones is always an enriching experience. We often walk away from those encounters feeling more connected, having learned something new and happy for the pleasant time we have shared. This month, we will gather each week not in our living rooms but in our Sanctuary to share in interesting and deep conversations. This month we will begin with a look at Returning Home to Peace. With so much conflict, blaming and arguing going on in the world, it’s nearly impossible to set our sights on peace – even though that is what we all need more of. There are very simple ways for us to navigate through the swamp created by negative thinking and action. Today we will learn some of those ways and what we can do to help ourselves and the world. To begin our conversations this month, we want to hear from you. When you arrive in church this morning, you will be invited to write down a question, challenge or issue that you would like to have addressed. All of your submissions will be placed in a basket from which Rev. Terry will draw to craft today’s message on the spot around issues you want to talk about. In 1935, the Institute of Religious Science published a little book entitled Questions and Answers on the Science of Mind, which is a compilation of questions asked of and answers from our founder Dr. Ernest Holmes. Today, we will look at some “difficult” questions, and see what Ernest had to say. Oh, and you can be sure Rev. Terry will add his two cents as well! It has often been said that “prayer is talking to God; meditation is listening.” Today we will explore this idea of talking to God in prayer. But to whom are we REALLY talking? And do we need to do more than just talk? We’ll gather today to talk about that. Contrary to what the title might imply, we will not focus on Neal Donald Walsh’s book, Conversations with God this morning. Rather, we will gather to have a real conversation with God! Come be surprised and delighted at what you experience. It is August, and the heat is on — outdoors as well as here at THE SANTA ANITA CHURCH. This month, we will turn up the heat on the concepts of Divine Invitation. We will deepen into the practices of Blueprinting, Bridging and Building the life that is our answer to the Divine Invitation. 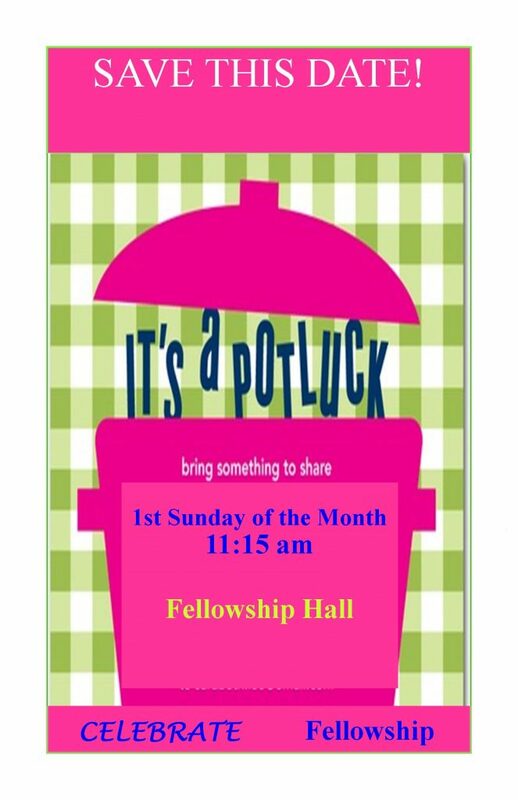 It will be a hot month at THE SANTA ANITA CHURCH so be sure to be with us! Often times, when we are asked to describe what we want, we immediately begin describing what we don’t want. For some reason, that seems easier for us. And while contrasting what “it” is with what “it” isn’t is an important distinction, eventually we must be able to say what the answer to the Divine Invitation looks like and claim it to be ours. Today, we clarify and claim our blueprint for that life. Yes, we actually can get there from here — if we are willing to bridge the gap, even when the terrain gets shaky and uncomfortable. Today, we will shine the light on what may be causing the bridge to rock and roll, and we will put one foot in front of the other to cross it anyway. Hammers, saws, pliers, levels, drills, nail finishers and wrenches, as well as the “know how” to use these tools, are all necessary to erect a new building or structure. Powerful spiritual tools and the “know how” to use them are needed to build a larger consciousness that makes us a welcoming space for our highest dreams and desires. Today, you will receive seven spiritual tools – the Sacred Seven – that will help you build that welcoming consciousness. We’ve blueprinted, we’ve bridged and we’ve employed the Sacred Seven spiritual tools. Today, we turn up the heat by using all of that as the springboard for building the life that is our answer to the Divine Invitation. It is a life that brings us joy and abundance, a life that serves the greater good, a life in which the Divine is expressed uniquely and powerfully as and through us. It is a life that is truly glorious and one each of us richly deserves!